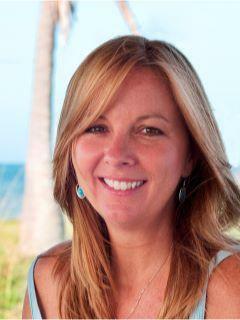 Welcome to The Florida Keys my name is Moe Smyth your Cenury 21 residential real estate agent located in the tropical islands of the Lower Florida Keys. In 2004 I traded in a 10mile/1hour commute in Atlanta for the islands known as “Paradise”, “The Conch Republic” or simply “The Keys”. I love this place, the people and the life style, it suits me and being able to share it with others makes me happy. My home has always had an open door to friends and family that want to escape the cold in the winter or just need some R & R from their daily lives. As a real estate agent I’m able to take that a step further and help others experience this unique lifestyle with their family and friends… where mass transit consists of a pontoon boat and it’s always 5 o’clock. Whether you are new to the Keys, looking for vacation retreat, a first time home buyer, a retirement home… buying, selling or investing… I think of myself as part of your family. Like a family lawyer or accountant, I’m YOUR realtor, and I’m in it for the long-haul working on your behalf. Please, visit my KeysRealEstateHomes.com website; it is designed for both buyers and sellers with an abundance of Keys related information.